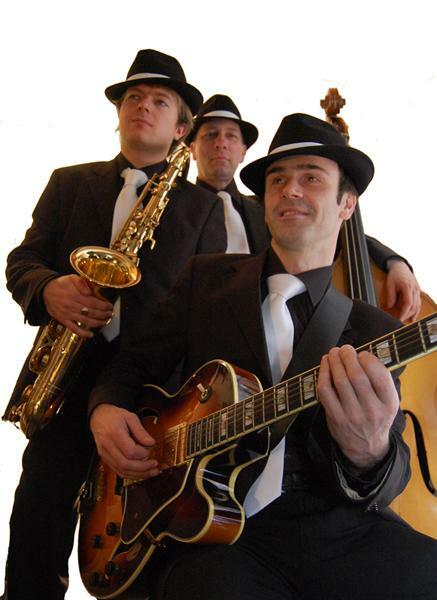 The Silk Street Jazz Three are a very popular choice and well suited to background music. 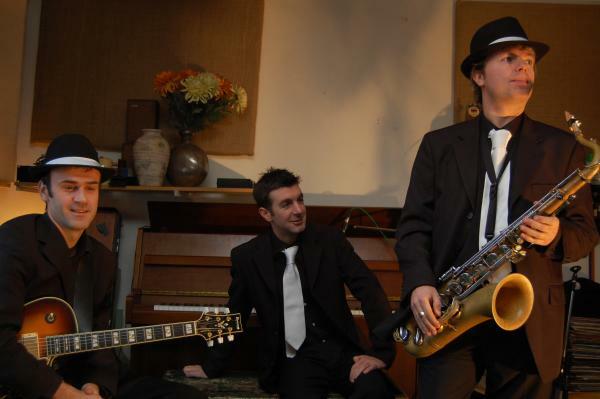 The trio are the scaled down version of the Jazz Four and the Swing Band. The smooth sound of the saxophone, coupled with the double bass and cool guitar (or piano) creates that smokey sophisticated jazz sound, perfect whilst guests are enjoying canapés and champagne. 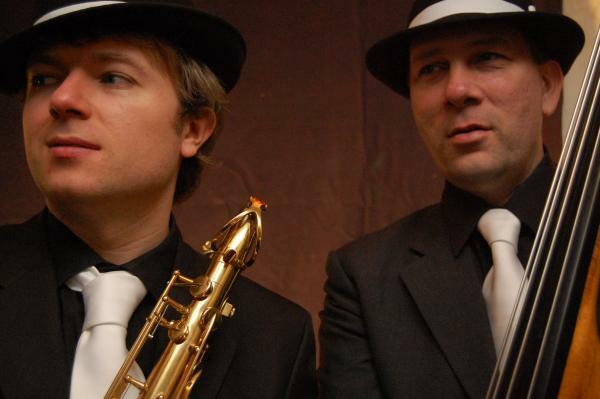 The band performs slow ballads and up-tempo numbers and adds that extra dimension to any party, wedding or corporate event. They appear regularly for several London based catering companies and have experience performing at many venues including art galleries, cocktail bars, hotels and restaurants. The Silk Street jazz bands are available to hire in many combinations to meet your requirements (2 – 5 piece). As well as their standard attire, the Artists can also perform in smart lounge dinner suits, dinner jackets, or a chic all black to integrate perfectly with the style of your event.